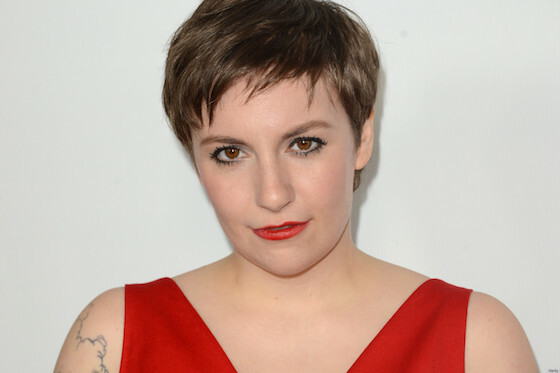 American Horror Story creator Ryan Murphy has revealed that Lena Dunham will join the show's cast for its upcoming season. The showrunner announced the news on Twitter last night (July 19), saying that he was "thrilled" to be working with his "talented friend." Unfortunately, not all of the reactions to the casting decision have been positive. As with all things Dunham, the internet had a gif-filled field day responding to Murphy's announcement. Dunham's latest tweets and Instagram posts could be interpreted as a response to the backlash, though she hasn't released an official statement about her the new television gig. Dunham's addition to the American Horror Story cast isn't the first time an A-lister has been brought in mid-series; last season featured a guest performance from Lady Gaga. Earlier this year, Murphy hinted that the upcoming seventh season will tackle a spooky storyline that is sure to hit home for American viewers — the 2016 U.S. election. The title of the upcoming season is expected to be revealed later today (July 20).